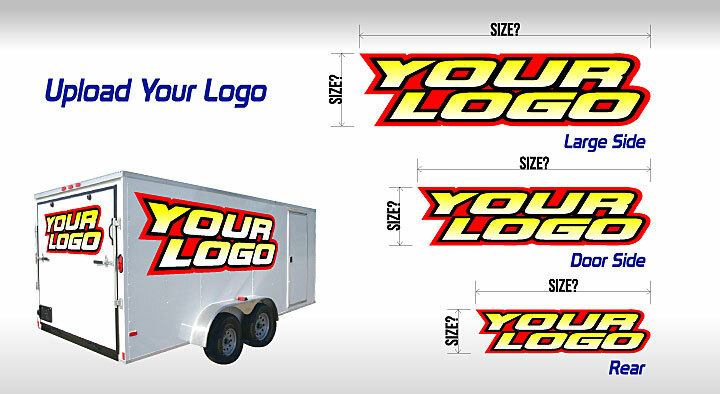 Custom trailer graphics with YOUR LOGO. Using YOUR LOGO and the information provided (sizing, colors & description) Roost MX will generate a proof & quote for your approval. Upon approval your custom made trailer graphics will be shipped in 2-3 business days. Trailer Graphics are made from high gloss, high quality vinyl, the same commercial grade materials used on all delivery vehicles (FedEx, UPS etc.) Trailer graphics are premasked and have a bubble free adhesive for easy installation. Sold in sets (2 sides & 1 rear). 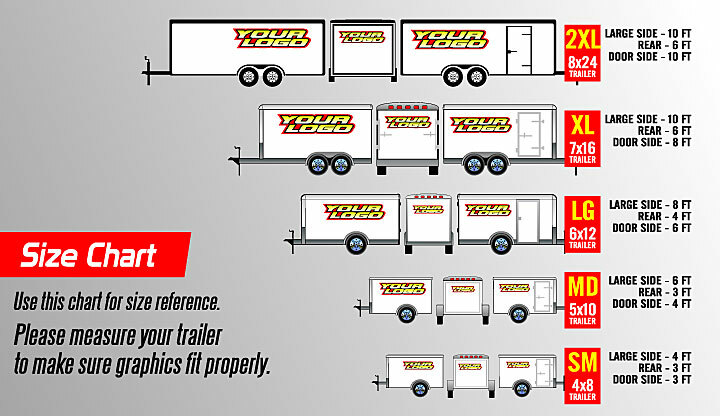 All Trailer Graphics are custom printed to your specifications. Roost MX can make custom color changes, logo changes, layout changes etc.. Use the form below to submit your custom trailer graphic build. We prefer YOUR LOGO artwork in vector format (Ai, eps, or pdf files).